When you choose us to build your engine, we will make sure that you leave with exactly what you want. We take pride in knowing that our engines exceed our customers expectations. If you are interested in having us build you an engine or would like to know more about our engines, please contact us and we will be happy assist you. 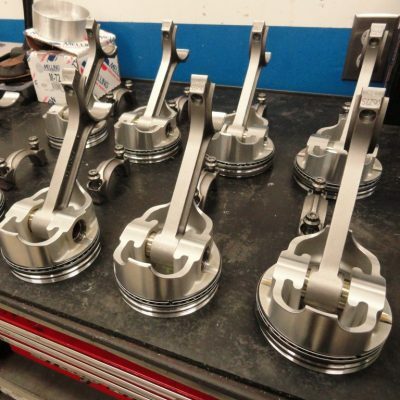 When choosing parts for your engine, we use high quality manufactures to insure you will leave with a strong and dependable engine. Over our years of experience we have hand picked certain companies that we trust in using their products to get the best results possible. Our on site engine builders are the same ones Dart and Indy Car has employed. 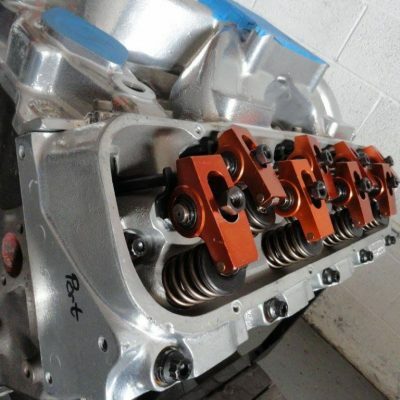 Every engine is thoroughly inspected, balanced and blueprinted to exact specifications. 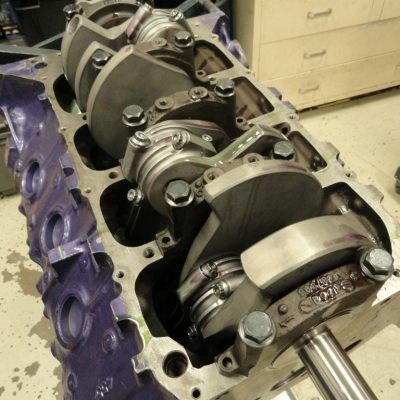 You can be sure that when you purchase one of our custom engines it will perform flawlessly. 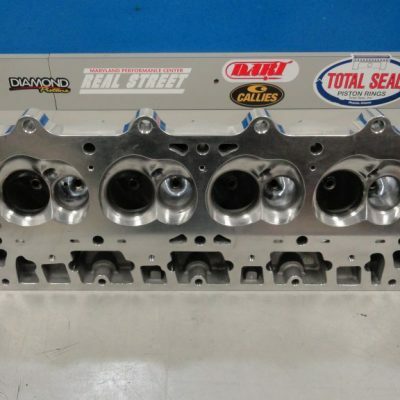 We have extensive in-shop machining capabilities for your engine build. 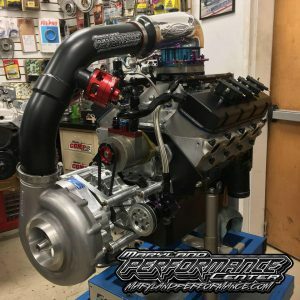 One of our most recent engine projects was working with Rick and his team at Rick’s Jewelers to build an engine for him to put in his dragster. He is planning to run in the PDRA series and NHRA series top dragster classes. 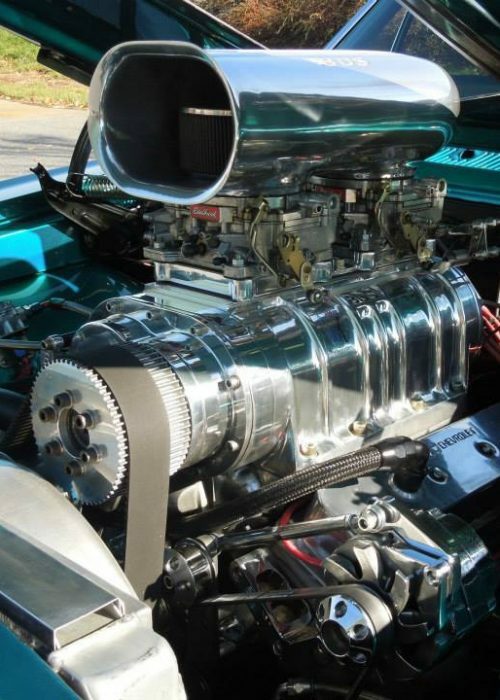 We decided on a 516″ big block chevy with a F1x-12 Procharger. 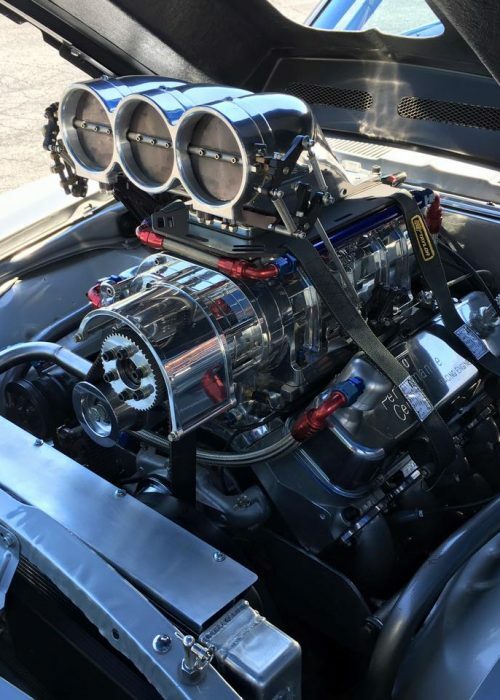 The engine is powered by Holley Dominator EFI and Methanol!